N is for Night | True story. Really. Posted on April 16, 2016	by True story. Really. It was a quiet and ordinary night. Was it a terrible and frightening night? Which I wasn’t, exactly, either. Did you bring a friend? And so can a scream. On a cold and windy night. 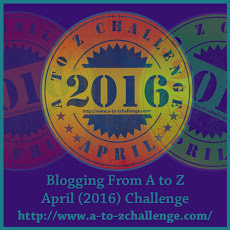 This entry was posted in Challenges, Poems and tagged #atozchallenge. Bookmark the permalink. Great image and a story well told in verse. It’s a strange world out there at night if you are alone. Thank you, and thanks for coming by and commenting! Thanks – so glad you liked it. Thanks for visiting! I used to walk all over even at night in Detroit. I was young and crazy. I’m lucky nothing ever happened. Same here, on both counts. Thanks for visiting and commenting!